Promotional items make great giveaways and with our incredible assortment of promotional confectionery giveaways you are certain to find something that will be a hit with everyone. 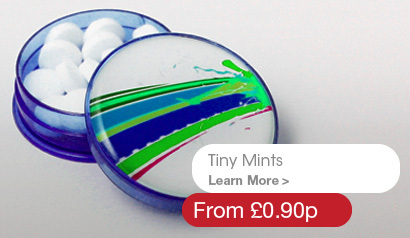 Custom promotional confectionery will most definitely serve their purpose and with a wide variety of chocolates, mints, jelly beans and other assorted candies you know that the goodies will vanish quickly but the tins and impression will last a long time. With brand names like Jelly Belly and M&M there is something to suit just about any appetite and taste buds.